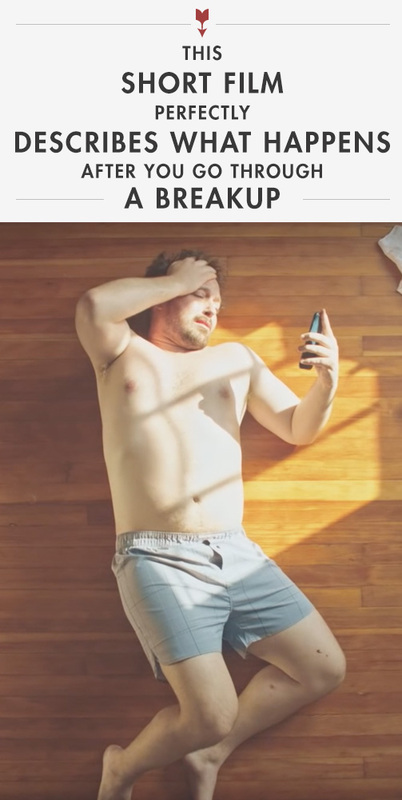 If you’ve ever gone through a wrenching breakup and then done the hard work of putting yourself back together, you need to watch this short film wrapped inside a “how to lose weight” video that takes a dark turn. In a little less than 6 minutes it tells a very old story (boy loses girl) but with a motivating, uplifting twist that will get you out of the house or the office and amped to do something active and constructive with your life. It’s simple, touching, and narratively complete – something a lot of short films try to achieve but miss the mark. Every so often the internet makes something perfect – this is one of those things. 1. The new boyfriend hip slamming the bed as he stares into your eyes. 2. The song to the ending credits. Oh interesting! That makes sense. He is the guy who appears in most of Conan’s Clueless Gamer. We need less mens style posts and more quality finds like this! Please find more of these sorts of things regularly, thanks! I think this premiered at Sundance last year. I first saw it after I’d just broken up with my GF and as dumb as it sounds, it definitely made me feel better and got me to the gym!